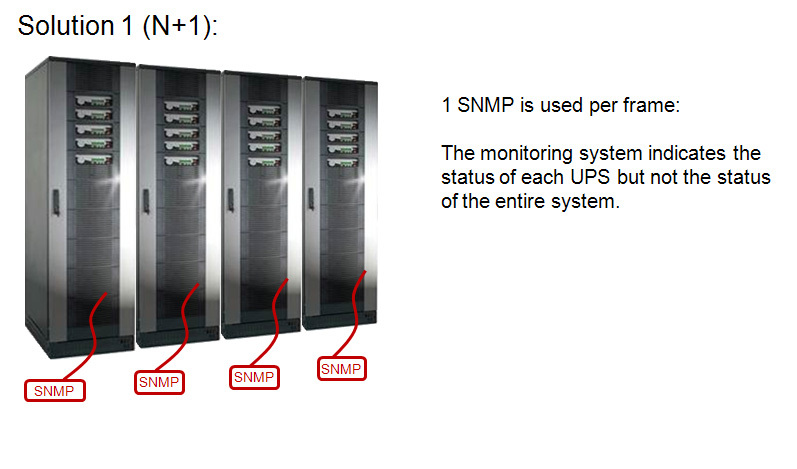 “Parallel Handling” refers to the management of parallel UPS systems as a whole. 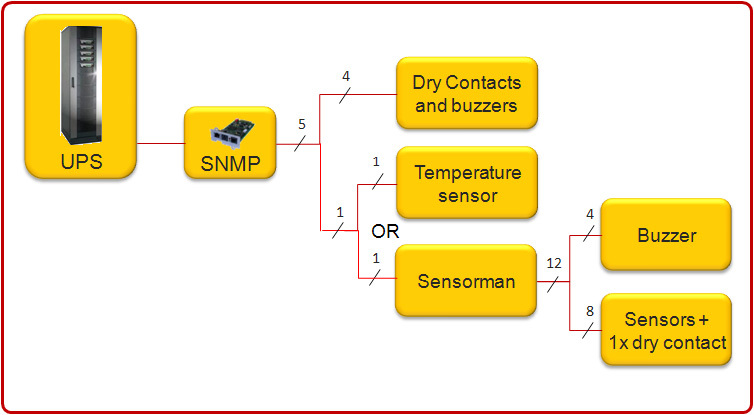 The real battery autonomy time of the parallel system is computed continuously. 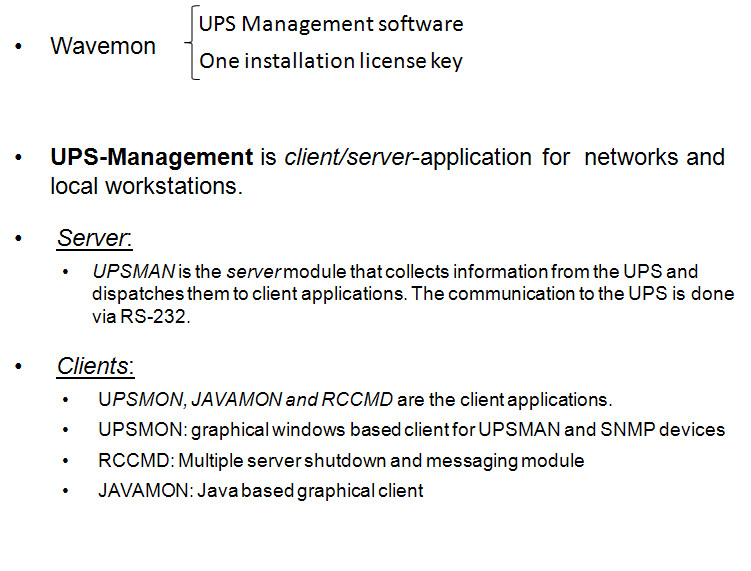 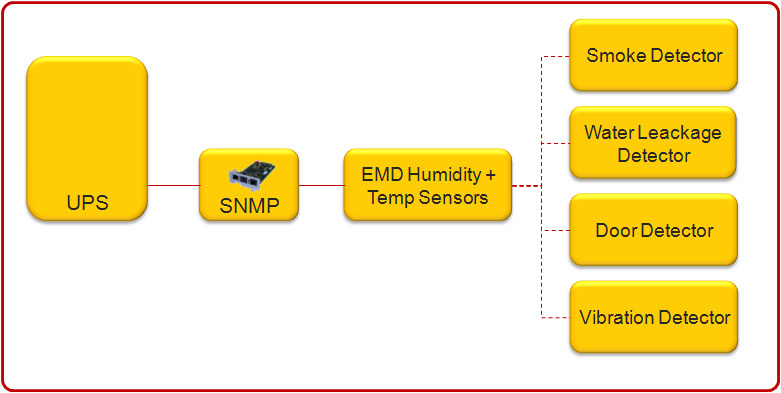 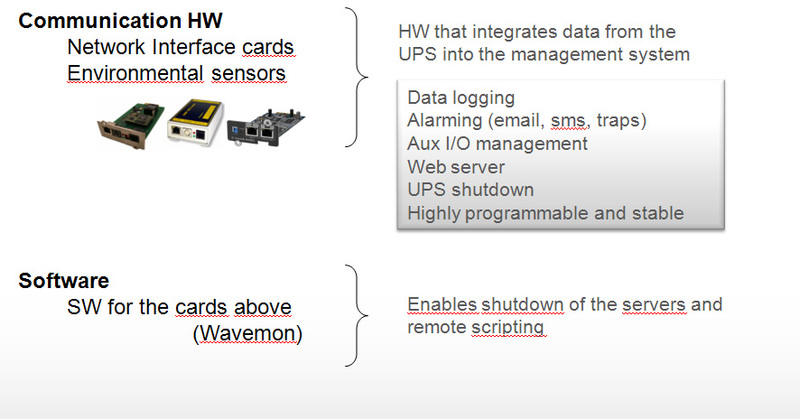 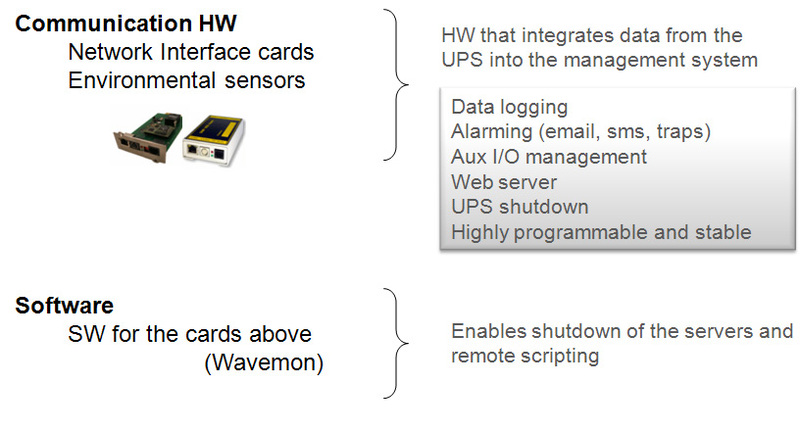 When there is a general alarm in one UPS, it is immediately notified to the UPS management system. 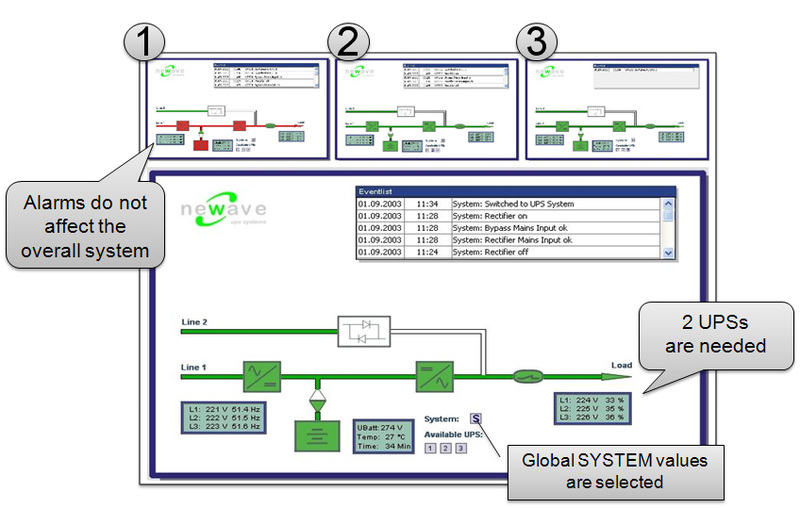 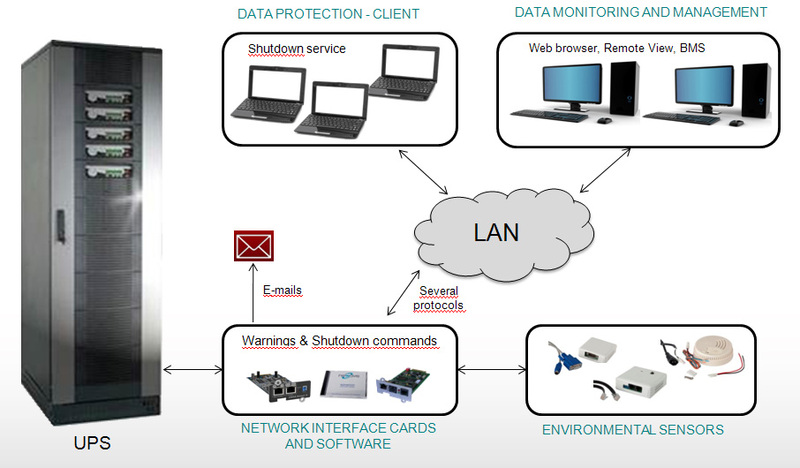 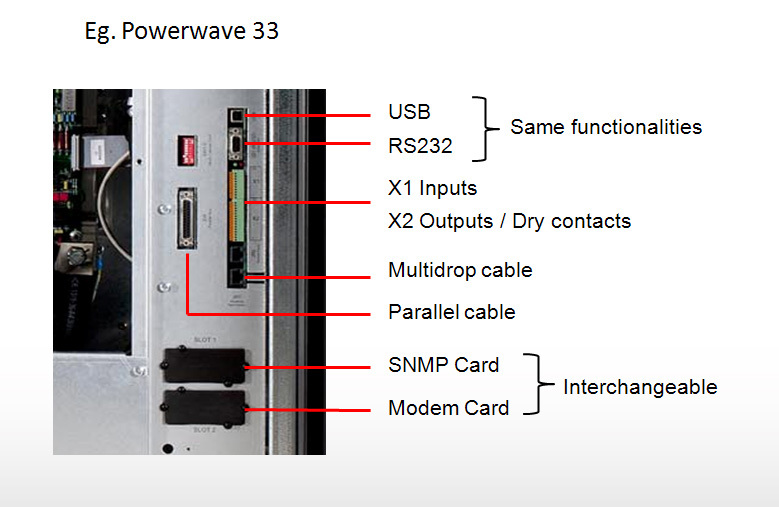 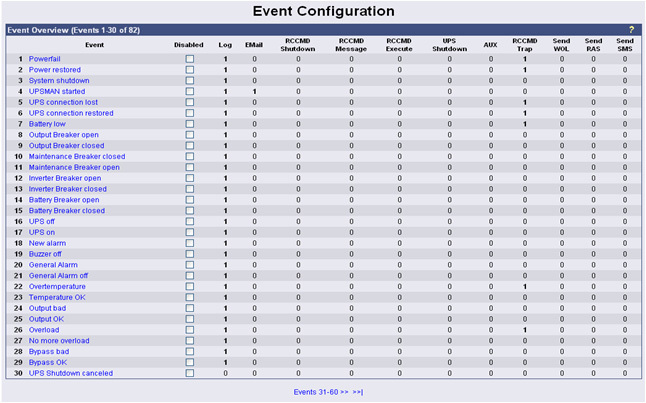 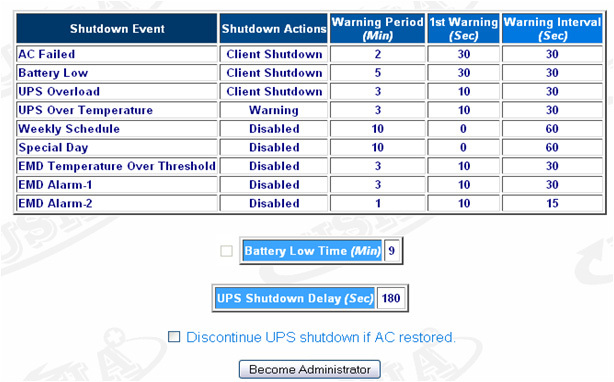 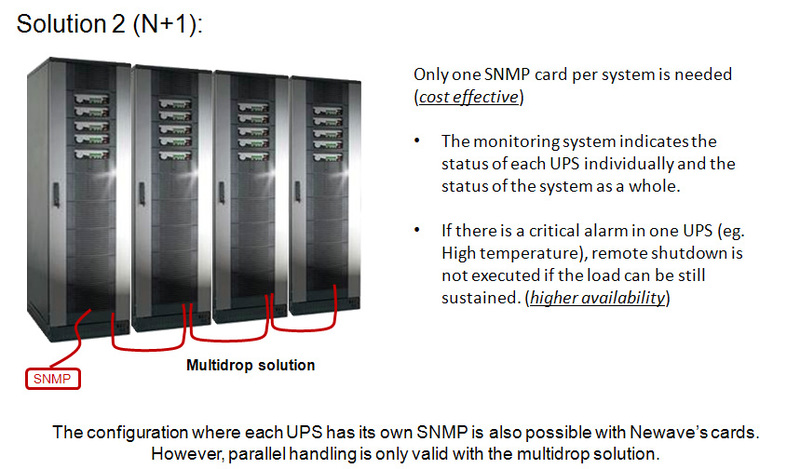 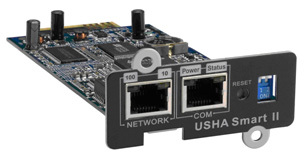 However, a remote shutdown is only realized if all the other UPS’s without alarms are not able to support the load.